Grindcore has always been one of the genres that push the borders the furthest. Especially in recent years, grind has become more and more interested in pushing the envelope as far as possible before reaching that point of pure noise. It’s more prominent the more one spends time with newer releases. 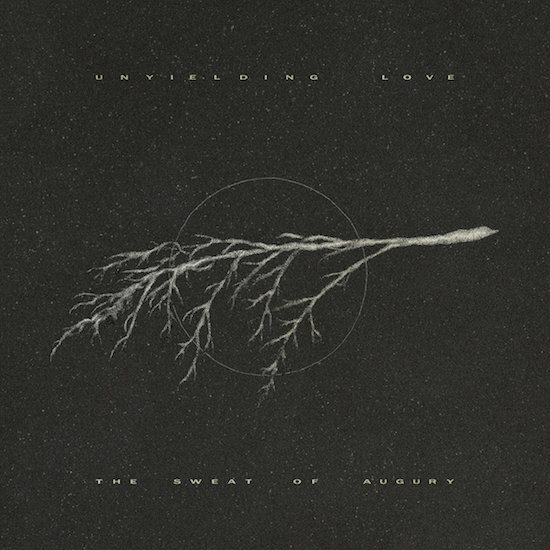 UK grindcore act Unyielding Love find themselves on that cusp with their debut The Sweat of Augury. But it also brings to mind the question: how far does the genre have to push before that line peaks? To answer that question immediately: Insect Warfare may very well have already found that point with Noise Grind Power Death and perhaps a lot of people haven’t realized it yet. The album is atonal and difficult to digest. Unyielding Love don’t find themselves structuring songs with that level of extremity, but the band is no stranger to the rawer side of chaos. 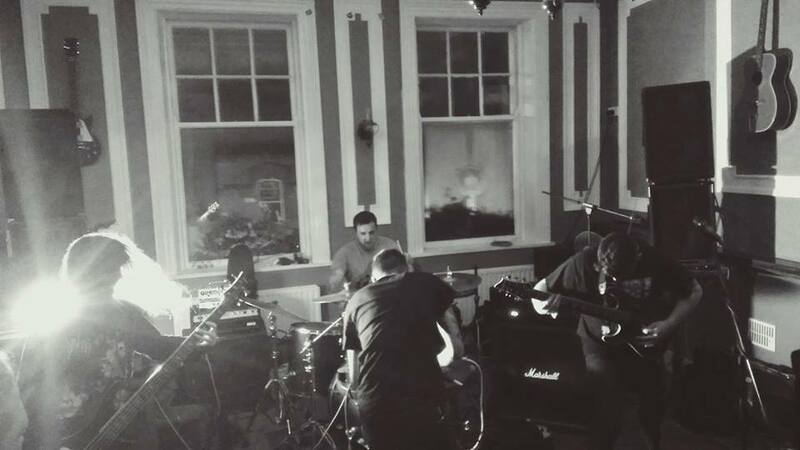 The Sweat of Augury is ripe with a stripped down, heavy, blackened sound. True to the attitude of the grind genre, there’s not a lot of room for introduction. Unyielding Love get to the point quickly and leave little room for discussion. Considering most of the songs clock in under three-minutes, regular listeners of the genre know what to expect. A quick snarl to kick off the album on ‘Abandon the Body’ and things go full blast from there. There’s a clear Full of Hell influence immediately on this album – which is not unwelcome – sounding like it could bridge Roots of Earth Are Consuming My Home and Rudiments of Mutilation. Noise is all the rage within grind bands nowadays. It’s easy to find something that takes a bunch of haptic feedback, shoves it between songs and calls it good. Unyielding Love thankfully don’t find themselves steering down this road in excess. When the noise hits it feels necessary and intense enough to amplify the misanthropic sound. ‘Die Hand Die Verletzt. Die Hand Die Erträgt’  and its transition into ‘Ardent Shroud’ is one of the best examples of this. The former track is about a minute of hailing noise that forms into an onslaught of riffage and call/response vocals. It shows a sense of balance between songs, never letting one or the other overstay its welcome. However, for all the positive elements of The Sweat of Augury, the album does lose its way at times. When the band is blasting, they feel unstoppable. It’s like watching someone smash out the windows of a house and tear down the walls; savage and destructive. However, Unyielding Love slow things down with the last two tracks, both of which are longer than the rest of album combined. The sludgier/more ambient areas (namely the last thirty seconds of ‘Of Human Grease and Ash’ and the first half of ‘The Pregnant Hurt’) bring things to too much of a crawl. It’s easy to space out and forget what you’re listening to here. Maybe some will see it as meditative. But when these portions hit, there’s something missing. 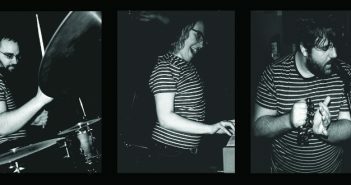 Perhaps the band simply cools down too much. Last two tracks aside, The Sweat of Augury is strongly recommended. It’s a more modern grind album, extremely dissonant and aggressive. Still, Unyielding Love make huge strides in a short runtime. The album, despite its slowdowns, still comes off as grandiose sounding and almost entirely unhinged. Where Unyielding Love head after this is open to speculation. But this brief glance at their potential points that their next album is probably going to melt your speakers and burn down your house. 1. Song title translates from German as ‘The Hand That Wounds. The Hand That Endures’.